First you could order stuff out of the back of catalogues. Then off TV. Then off the Internet. Aperion Audio, one of the first audiophile brands to try its hand at peddling speakers solely through the Web, turns 10 this week. Feel-good tales of customer satisfaction and value aside, the reason you really care: They’re dropping prices on a bunch of gear to celebrate. The Aperion Audio 10th Anniversary 5.1 Home Theater System, which is based around Aperion’s award-winning Intimus 6B speakers (a similar system dropped our jaws back in 2004) will be on sale for a clean $1,999, which is $770 below its normal price. 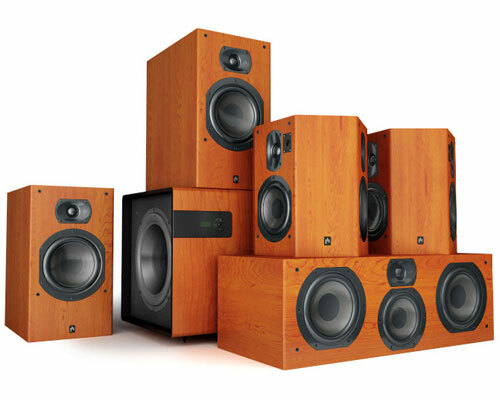 That includes 6B bookshelf speakers, a 6C vertical array center, a 5DB dipole/bipole surrounds, and a Bravus 10D subwoofer, plus free shipping, free customer care kit, and ten-year warranty. Like all Aperion stuff, shipping’s on them if you want to send it back, too. Head on over to Intimus to pick one up – just seal the deal before July comes to an end if you want the discount.